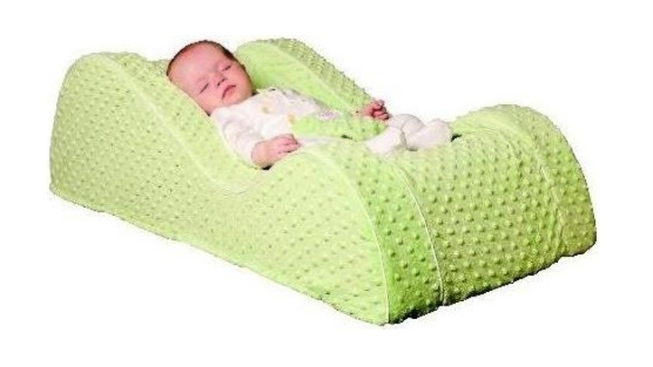 This undated file photo provided by the U.S. Consumer Product Safety Commission (CPSC), shows the Nap Nanny portable baby recliner. Four national retailers agreed to recall more than 150,000 Nap Nanny baby recliners after at least five infant deaths and dozens of reports of children nearly falling out of the recliners, the Consumer Product Safety Commission said Thursday. The four retailers — Amazon.com, Buy Buy Baby, Diapers.com and Toys R Us/Babies R Us — agreed to voluntarily participate in the recall of the Nap Nanny because its manufacturer is unable or unwilling to participate, the government agency said in a statement.